The Samsung Galaxy S III has had its share of pre-order options abroad, but now thanks to Amazon, you can put your early bid in for a U.S. friendly unlocked version of Samsung's Exynos 4 Quad packing slugger. 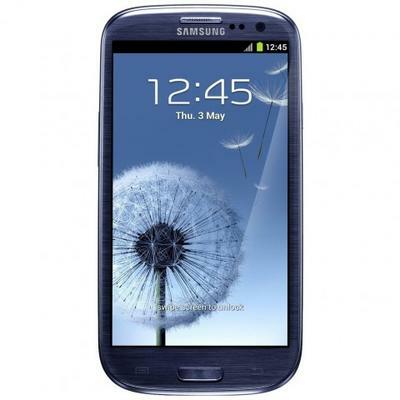 Available on June 1st, Amazon lists both the Pebble Blue and Marble White color options of the 16GB model Galaxy S III at a price of $799.99. Since this version of the GSIII won't be locked to a specific carrier, the best data speeds you'll see will be that of the HSPA+ kind. However, if the lack of LTE isn't a deal breaker and you've got the budget and the desire to have this device earlier than your carrier committed cohorts, swing on by to the source link to claim your prize.